. 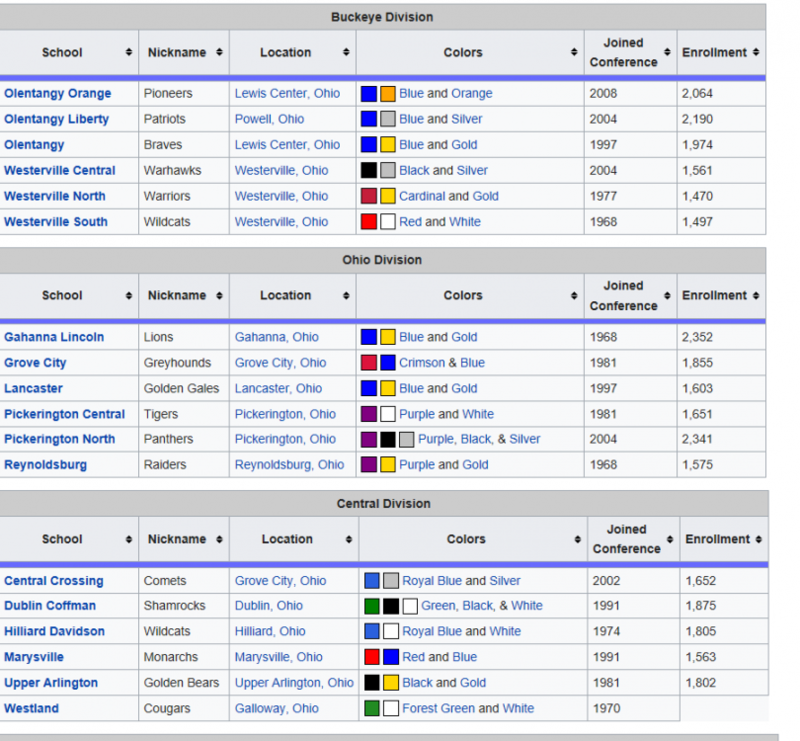 . . but it makes you realize how vulgar Carmel's enrollment looks when you see these schools . . . I know it was the case years ago, but I believe Ohio still has caps on enrollment. Once a school reaches a certain number, adding an additional school is required. Maybe someone from Ohio could clarify? It looks like Amelia and Glen Este merger to form this new school. Four-grade enrollment is 2600. Other enrollments in ohsaa use grade 9-11 enrollment and split it between boys and girls. Mason has around 3500 high school students in four grades. Rule of thumb, if it’s IHSAA add boys plus girls and divide by .77 (consider some upper class attrition instead of dividing by .75). Just a wag. ...or just use the actual DOE data. I am from SW Ohio. If Lakota HS hadn't split into East and West a number of years back it would be over 5k now. Definitely a change in overall competitiveness when Bradley came into the picture and built their program from the ground up. While Bradley has certainly gotten better and had a heck of a 3 year run, it's not like Davidson is doing THAT much worse. For what it's worth, Davidson advanced further in the OHSAA playoffs this year AND defeated Bradley this season 17-10. Davidson is an "historic" Ohio high school football program. The fact that Bradley has caught up to them in such a short amount of time is incredibly impressive, in my view. Note that Bradley did fall to defending state champ Pickerington Central early in the tournament. Both programs should remain very competitive for some time. The Davidson district has less room for growth than does Bradley, hence more potential upside for Bradley. Darby is pretty decent as well. I have said for a LONG time and still believe that the hesitation in splitting schools, at least in Central Indiana, goes back to the time when Lawrence Township split into 2 schools. Why was this such a bad decision for Lawrence Township? I'm not aware of this history here. I apologize for not being more clear. It likely was not a bad decision for them. I do feel that many saw the struggles the athletic programs went through for so long was a factor in choosing to not split. Fishers and HSE have both had sustained success sin ce fishers opened 15 years ago. There is talk of a third high school now opening in that district. What impact will that have on the two other schools, which are both in a bit of a down cycle now? Davidson remains strong, but they are not the statewide power they used to be. Bradley has had more talent the past few years and the better overall record and performance. Sometimes, when a school splits, the "old" school gets eclipsed by the new one athletically OR there's a perception that it dilutes the talent pool enough that it prevents a school from being as good as it once was. For many years, the newer LN was far stronger athletically than the older LC, although the Bears have had the upper hand of late, with state titles in both football and baseball this century. Growing up in the 1980s & 1990s, LN was perceived as a really strong suburban school serving the very popular, rapidly-growing Castleton area and had a similar reputation as first-ring suburban schools (say, Carmel/HSE/Fishers/Brownsburg/Zionsville) have today. With regards to Carmel, they've been stockpiling swimming state championships. Their swim team often has people who could qualify for the State Finals who can't even crack the varsity roster because they're so deep. There are a LOT of really good athletes who could compete at a varsity level virtually anywhere in the state who can't even make the team there. If Carmel were to split, the new school would likely serve the western half of the district, which is the wealthier, more suburban part of the area. Not sure if that's the source of Carmel's best athletes, but some oldtimers in town wouldn't want the old school to be eclipsed by the new one.